The retailer arms race continues as Walmart becomes the latest company to jump on the drone bandwagon. But unlike nemesis Amazon and other companies testing delivery drones, Walmart will use drones to catalog warehouse inventory and potentially replace people who manually scan labels. So add “warehouse workers” to “delivery drivers” in the list of people who need to worry if robots are taking their jobs, though a spokesperson told the New York Times that said workers “could” just work in other parts of the factory. (Of course, warehouse work has been known to be notoriously soul-sucking anyway.) The custom-built drones, which can take 30 images a second, fly through the store providing real-time data about whether everything is in the right place. This is the first big-scale example of warehouse drones and, if all goes well, might encourage other companies to rethink how their factories are run. This is all part of Walmart’s effort to make good on its promise to offer even lower prices. As customers have gotten addicted to lower and lower costs, massive chain retailers—of which Walmart is the largest in the country—have had to get creative in squeezing every bit of savings they can. With an eye on Amazon, Walmart wants to beef up its online and e-commerce business and thinks drones could help it ensure that it never commits the sin of having an item out of stock. Google and Amazon are experimenting with drone delivery systems stateside while Zipline is using drones to deliver medical supplies in Rwanda. Walmart is taking a different tactic when it comes to delivery anyway: The company is partnering with Uber and Lyft to deliver groceries, starting in Denver in the next few weeks. The FAA is still considering rules for delivery drones so it might have been a smart move for Walmart to try deploying drones indoors first. 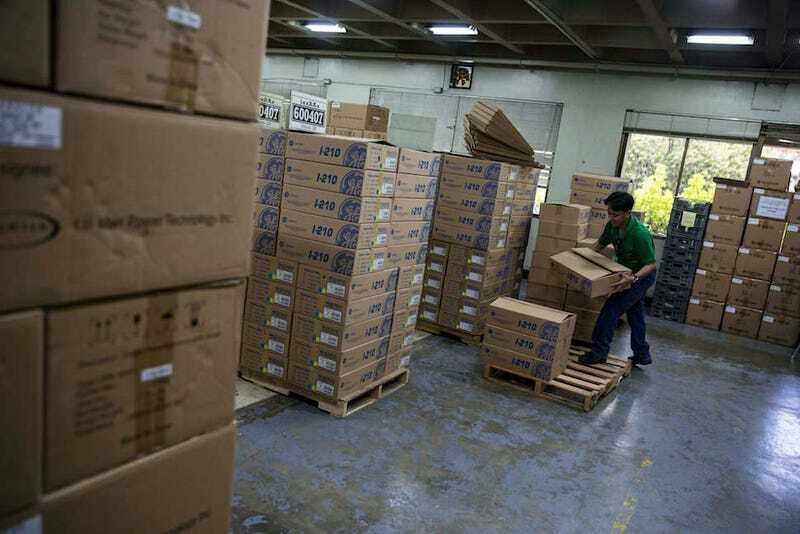 The company hopes they’ll be actively working in its warehouses within nine months.